At Desert Financial, we know that the root of our success lies in the quality of our team members. That’s why we are committed to attracting and retaining rock star lending professionals - like you! Throughout our history, Desert Financial has helped our members realize their dreams though our credit solutions, while providing the roadmap for our employees to fulfill their personal and professional potential. Are you ready to drive your career forward? Then get on our bus! Make a career out of making an impact. A career at Desert Financial offers you a chance to make a difference in your life and the lives of the people in your community. As a member of the Desert Financial lending team, you will experience a workplace that nurtures growth, that supports your development and that is committed to your success. Whether you are a seasoned professional or bring just a few years of experience, the lending team at Desert Financial will give you the space you need to forge your own path. Why join the Desert Financial lending team? We believe in sharing success. A stronger you is a better us. You will be supported with proven best lending practices, while receiving the authority and tools you need to perform beyond member expectations. When you feel well, you'll do well. We know that in order for you to be the rock star that you are, you need access to outstanding benefits and resources. Seriously, our benefits package is fantastic!  Meet some of our lending difference makers.